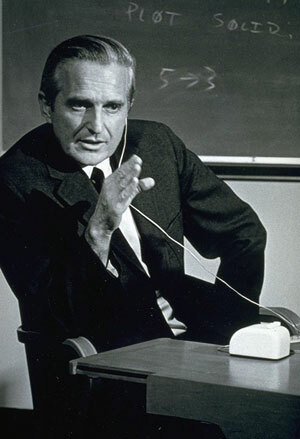 Douglas Carl Engelbart was born on 30 January, 1925, in the U.S. state of Oregon to Carl Louis Engelbart (German descent) and Gladys Charlotte Amelia Munson Engelbart (Norwegian and Swedish descent). He was the middle of three children, with a sister Dorianne (3 years older), and a brother David (14 months younger). They lived in Portland in his early years, and moved to small farmstead in the countryside near Portland to a place, called Johnson Creek, when he was 9 or 10, after the death of his father. Douglas graduated from Portland's Franklin High School in 1942 and went on to study Electrical Engineering at Oregon State University. Midway through his college studies at Oregon State University, in 1944 he was drafted into the US Navy, serving two years as a electronic/radar technician in the Philippines. It was there on a small island in a tiny hut up on stilts, that he first read the famous article of Vannevar Bush—"As We May Think", which greatly inspired him. He returned to Oregon State and completed his B.S. in Electrical Engineering, Oregon State University in 1948, then received a position as an electrical engineer in NACA Ames Laboratory, Mountain View, CA (now NASA), where he worked until 1951. However, within three years he grew restless, feeling there was something more important he should be working on, dedicating his career to. He thought about the world's problems, and what he as an engineer might possibly be able to do about them. He had read about the development of the computer, and even assisted in the construction of the California Digital Computer project (CALDIC), and seriously considered how it might be used to support mankind's efforts to solve these problems. As a radar technician during the war he had seen how information could be displayed on a screen. He began to envision people sitting in front of displays, "flying around" in an information space where they could formulate and organize their ideas with incredible speed and flexibility. So he applied to the graduate program in Electrical Engineering at U.C. Berkeley to launch his new crusade. As he recalled later: "In 1951 I was an electrical engineer at Ames Laboratories. I had read a number of articles about the potential of computers, like Vannevar Bush’s piece in the Atlantic Monthly about a personal computing device he called “memex”, and a book about computers called “Giant Brains" (Giant Brains, or Machines That Think by Edmund Berkeley), and it seemed like they opened up a whole new path of knowledge work. So after several months of thought, I decided they would make a good lifetime focus." Engelbart obtained a M.S. in Electrical Engineering in 1952, and a Ph.D. in Electrical Engineering with a specialty in Computers in 1955, along with a half dozen patents in "bi-stable gaseous plasma digital devices", and then stayed on as Acting Assistant Professor. However, within a year he was tipped off by a colleague that if he kept talking about his "wild ideas" he'd be an Acting Assistant Professor forever. So he ventured back down the Peninsula in search of a more suitable outpost to pursue his vision. He then formed a startup company, Digital Techniques, to commercialize some of his doctorate research on storage devices, but after a year decided instead to find a venue where he could pursue the research he had been dreaming of since 1951. In 1957 he spoke with David Packard (of Hewlett-Packard). They had a great conversation, and Engelbart was all set to work for them. Then, as he was driving home from the interview, a question forced its way into his mind. About a quarter of the way home, he stopped and called the vice president of engineering at HP and asked, “I assume HP is planning on going into digital instruments and digital computers, and I’ll get a chance to work in those areas, right?” And he replied that they didn’t think there was much potential there, so the answer was no. In the same 1957 he settled on a research position at SRI (then Stanford Research Institute), where he earned another dozen patents in two years working on magnetic computer components, fundamental digital-device phenomena, and miniaturization scaling potential. At SRI, Engelbart gradually proved himself with over a dozen patents to his name (some resulting from his graduate work), and within a few years was funded to produce a report about his vision and proposed research agenda titled Augmenting Human Intellect: A Conceptual Framework. This led to funding from ARPA to launch his work. In 1959 started the most productive period in the life of Engelbart, as he was appointed as a Director of Augmentation Research Center (ARC) at Stanford Research Institute, position, which he keep until 1977. He recruited a research team (up to 47 people) in his new center, and became the driving force behind the design and development of the On-Line System, or NLS. He and his team developed computer-interface elements such as bit-mapped screens, the first computer mouse, hypertext, collaborative tools, and precursors to the graphical user interface, groupware (inc. shared-screen teleconferencing and computer-supported meeting room), etc. He initiated ARPANet's Network Information Center (NIC). On October 29, 1969, the world's first electronic computer network, the ARPANET, was established between nodes at Leonard Kleinrock's lab at UCLA and Engelbart's lab at SRI. Interface Message Processors at both sites served as the backbone of the first Internet. Engelbart slipped into relative obscurity after 1976 due to various misfortunes and misunderstandings. Several of his best researchers became alienated from him and left his organization for Xerox PARC, in part due to frustration, and in part due to differing views of the future of computing. Engelbart saw the future in collaborative, networked, timeshare (client-server) computers, which younger programmers rejected in favor of the personal computer. The conflict was both technical and social: the younger programmers came from an era where centralized power was highly suspect, and personal computing was just barely on the horizon. 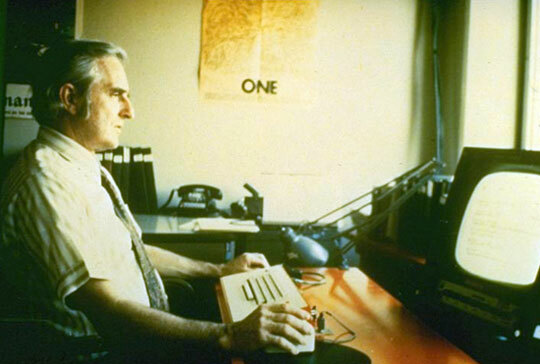 From 1977 until 1984 Engelbart worked as a Senior Scientist in Tymshare, Inc., Cupertino, CA. Tymshare had bought the commercial rights to NLS, renamed it AUGMENT, and set the system up as a principal line of business in their newly formed Office Automation Division. In 1984 Tymshare was acquired by McDonnell Douglas Corporation ISG, San Jose, CA, and Engelbart keep his position as a Senior Scientist until 1989. He worked closely with the Aerospace Components on issues of integrated information-system architectures and associated evolutionary strategies (an extension of work at Stanford Research Institute during 1957-77). Various executives, first at Tymshare and later at McDonnell Douglas, expressed interest in his ideas, but never committed the funds or the people to further develop them. Engelbart retired from McDonnell Douglas in 1986, determined to raise a flag on neutral ground where he could pursue his work in earnest. Teaming with his daughter, Christina Engelbart, in 1988 Doug founded the Bootstrap Institute in Menlo Park, CA, with modest funding to coalesce his ideas into a series of three-day and half-day management seminars offered at Stanford University 1989-2000, which served to refine his ideas, while inspiring candidate participants. By the early 1990s there was sufficient interest among his seminar graduates to launch a collaborative implementation of his work, and the Bootstrap Alliance was formed as a non-profit home base for this effort. In the mid-1990s they were awarded some DARPA funding to develop a modern user interface to Augment, called Visual AugTerm (VAT), while participating in a larger program addressing the IT requirements of the Joint Task Force. Douglas Engelbart has over 45 other patents to his name, e.g. seven patents relating to bi-stable gaseous plasma digital devices, resulting from work 1954-58, twelve patents relating to all-magnetic digital devices, resulting from work 1954-58, magnetic-core logic devices and circuits, the patent for the computer mouse from 1970, etc. 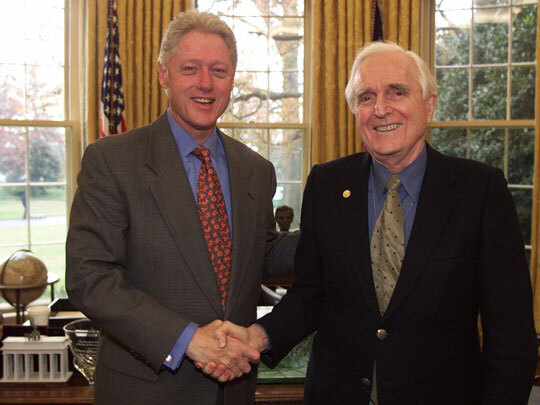 Douglas Engelbart is a holder of over forty awards and honors, including the National Medal of Technology, the Certificate of Special Congressional Recognition, the Lemelson-MIT Prize, the IEEE John Von Neumann Medal Award, the ACM Turing Award and the American Ingenuity Award. Doug Engelbart's first wife, Ballard Fish-Engelbart (1928-1997), died in 1997 after 46 years of marriage. They had three daughters (Gerda, Christina and Diana Mangan), a son (Norman), and nine grandchildren. In 2008, he married to Karen O'Leary Engelbart. 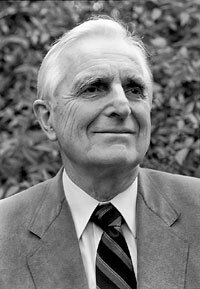 Douglas Engelbart died on July 2, 2013, at his home in Atherton, California, the cause was kidney failure.